This ring would be great any time of the year. 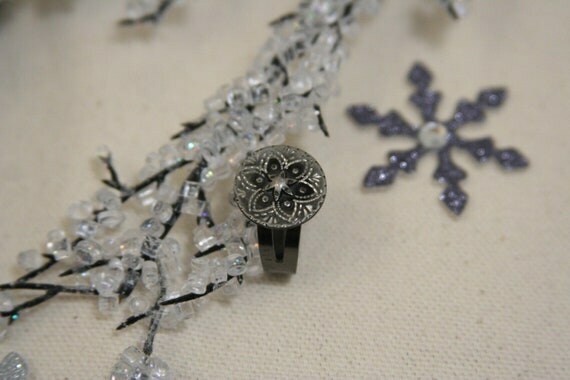 The design on the button could be a flower or a snowflake, it is all in the eye of the beholder. But can't you imagine wearing this by the fireplace in the middle of the winter, cuddled up in a big comfy sweater with a nice warm cup of hot cocoa? Or even in the summer on the beach with a cool drink in your hand?